Paymaya has partnered with Foodpanda for an exclusive treat for foodies! Until December 31, 2016, foodies all over Metro Manila and Cebu will be given a 20% discount for a minimum purchase of Php 500.00 when you order meals at the Foodpanda website or app and use PayMaya as payment option. You will also get a 10% discount on every succeeding orders made until the end of the promo. To avail the 20% discount on the first order, simply use the voucher code PAYPANDA20 plus the first six digits of your PayMaya account number. For the succeeding orders, use the voucher code PAYPANDA plus the first six digits of your PayMaya account number, in order to avail the 10% discount. PayMaya is a prepaid wallet that enables users to pay, and purchase the things they love online--even without a credit card. In just three minutes upon download, users are given a 16-digit virtual card number which they can use to shop online, pay for Uber, book flights, buy games, concert tickets, and subscriptions, and now, order food to be delivered right to their doorstep. PayMaya is accredited by the Bangko Sentral ng Pilipinas as well as international card security bodies such as the PCI DSS so users are ensured of a safe and secured payment option with PayMaya. “Our group’s mission has always centered on enabling the Filipinos to avail of the anytime, anywhere experience. 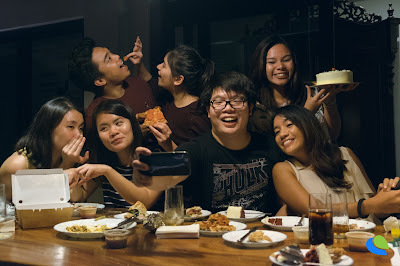 We are delighted to team up with foodpanda and offer exactly this to #NowNation -- a convenient and affordable way to satisfy their cravings, whenever, wherever.” Sharon Kayanan, Marketing and Brand Head for PayMaya Philippines. “We are one with PayMaya Philippines in their mission to provide consumers a service that is secure, hassle-free, and affordable. With this partnership, we are confident that more Filipinos will be able to enjoy the convenience foodpanda offers to its customers.” Rommel Bulaquina, PR & Partnerships Lead, foodpanda Philippines. PayMaya, which remains to be the no. 1 most downloaded Finance app on the Play Store -Philippines, can also be downloaded on the App Store, for iOS users, for free. To start online shopping, all you have to do is register with any Philippine mobile number, fill out basic personal information, and load up the account using the registered mobile number. You can load up their account at over 15,000 touchpoints nationwide including Smart Money, BDO online banking, SM Malls Business Centers, Robinsons Department Stores, Smart Padala Centers, Union Bank ATMs, 7-Eleven Cliqq Kiosks and Ministop Touchpay Kiosks. You can also opt to have a physical PayMaya card which can be used in over 30 million establishments worldwide. The cards can be purchased at https://paymaya.com/shop/. Download the foodpanda app now or visit http://www.foodpanda.ph to know your next great meal adventure. Happy craving! Note: This is a Press Release.